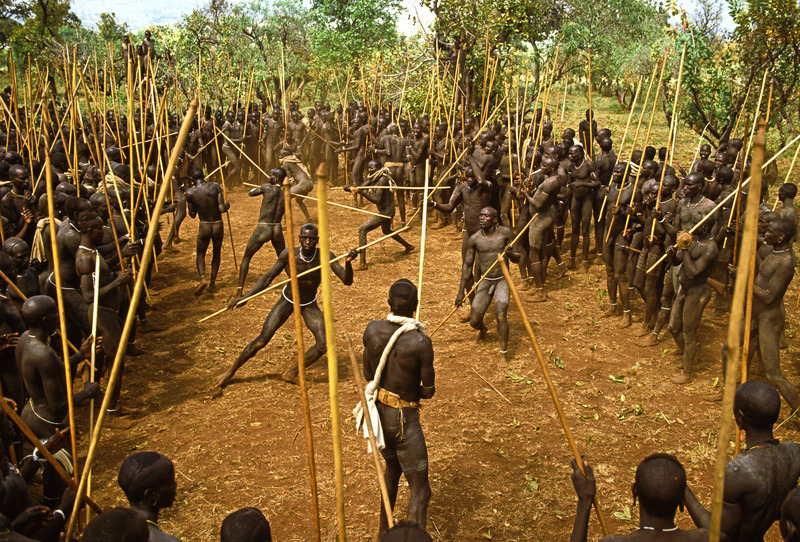 Considered the most vicious of all sports across the African continent, the Donga stick fight has no rules except that a competitor must not kill his opponent. A test of nerves and brute strength, it is fought to prove masculinity, settle personal vendettas and primarily to win wives. The 50 or more men who participate in each tournament represent different villages and fight in heats until the competition narrows to two finalists. At the tournamentâs end, the young girls who have been watching from the sidelines decide among themselves who will choose the champion as her husband.